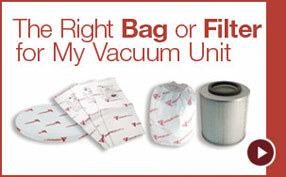 Easily achieved during construction or renovations, different techniques allow for the installation of a CycloVac central vacuum system in all types of homes or buildings. 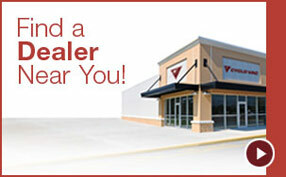 For the installation of your Cyclo Vac system, you may turn to one of our certified specialists or do it yourself with our complete installation kits. 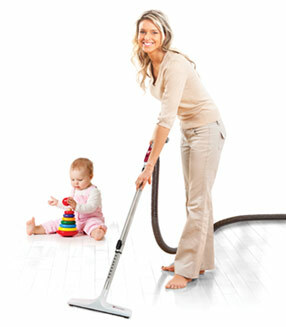 Enjoying the many advantages of a CycloVac central vacuum system is only a few hours away! 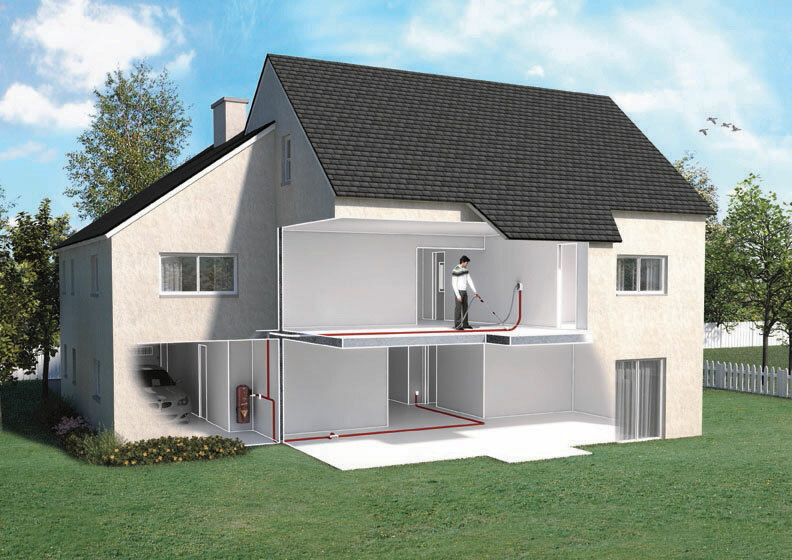 Here's how it works: a piping system is installed within the walls and floors of your home, to which are connected discrete vacuum inlets. This piping system is connected to your central vacuum unit and low voltage wiring runs along the piping system connecting every inlet to the power unit and allowing the easy start-up of the vacuum by simply inserting the hose end into a chosen inlet.